Pak Sheung Chuen (b. 1977) is the convenor of L＋. He is a Hong Kong artist. Between 2003 and 2007, he was a regular visual-arts columnist for Ming Pao Daily. Pak has participated in platforms such as the 7th Taipei Biennial (2010) and the 3rd Yokohama Triennale (2008). He also represented Hong Kong at the 53rd Venice Biennale in 2009. In 2012, Pak was awarded “the Best Stand Prize” in the Frieze London, “the Best Artist” of Contemporary Chinese Art Awards (CCAA 2012) and Hong Kong Arts Development Awards (HKADA 2012). You represented Hong Kong in Venice Biennale. You have also participated in many internationally important exhibitions all around the world. And you have established as one of the most important Hong Kong artist. If you have anything you remember especially in your artistic career, let me know about it. I think my most treasure period is the four years making artworks for a local newspaper each week from 2003-2006. At that time, I had just graduated form University; it gave me a very good platform to practice how making artwork in the public media. It leads my works from personal emotion into public, social, political issue. After 2009 in Venice Biennale, my works are almost showing in international platform, but its root is from the newspaper works. Why have you started working as a group instead of an individual? Let me know about it. In my creative practice, it always involves people. When it comes to work coordination and fabrication, I work with a team, like the work “L” in Mobile M+ Yau Ma Tei in 2012. 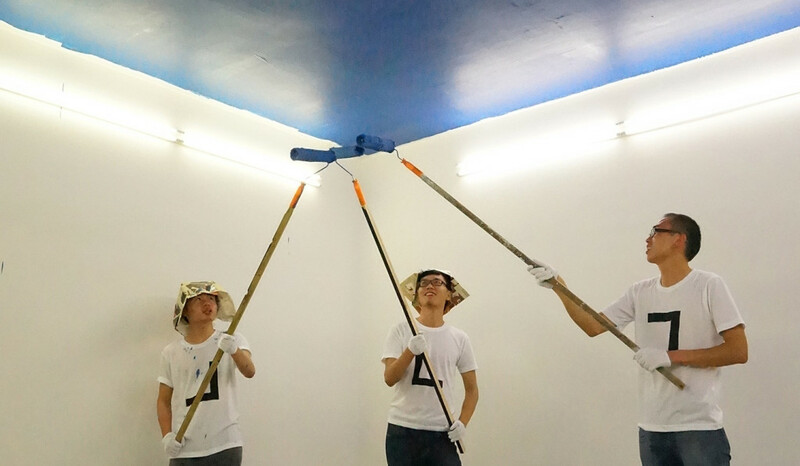 In these recent years, I incline towards teamwork so I form an artist collective called L十. The team having four core members for now starts to work out various projects I have been thinking to do and we execute the details together. The “L” in L十 represents two vectors of force, one upward and the other side way. The one pointing up is a connection to celestial space while the horizontal one embraces the community we are in. 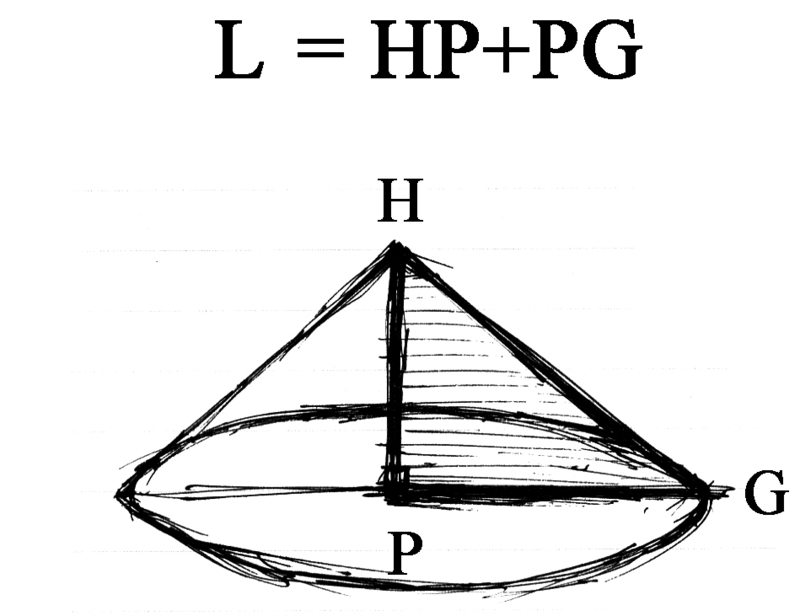 Many possibilities can happen, like four Ls making 十 on a same plane, or L rotates to form a cone. L十 aims to create and curate projects that relate to these four corners and within this cone. The disaster caused casualties to people and animals as well as damages to the land and the ocean. The aftermath of radioactive leak was extensive that not only people in Japan but worldwide concerns about the ecology and the lives. These were what I perceived from the news. By participating Arafudo Art Annual 2014, L十 would like to share the emotions in relation to changes and losses. As you will realize the same project at the same time also in Hong Kong, I am just wondering how you got the idea of this project at this time. Let me know about it. There has been a heated protest in Hong Kong against the urban development of Northeast New Territories, a greenery suburb. When Hong Kong and Arafudo Art Annual came to me around the same time, I immediately think of the commonality of both places which will undergo/ has undergone a drastic change, in terms of scenery and humanity. All L十’s ideas are taken from the L’s notebook. Whenever thoughts bubbled up, I jotted them down and god knows someday they will be brought up and realised. “Photography of Disappearance” appeared in the notebook on 2014-8-17. Let me know about the detail of the project you are undertaking. In “The Northeast “Photography of Disappearance” Tour”, a tour guide who knows that place well will design a route and itinerary with us. He/she will take visitors to sightseeing spots and introduce a story or a history of the place. Then visitors are free to “counter-photoshoot” – whenever they want to take a picture, they don’t take it but delete a photo in their mobile phones instead. At the end of the tour, all visitors will take a picture with the tour guide and this is the only picture taken for documenting the event. What follows is a sharing session for visitors to describe the photos they deleted and the scenes they wanted to shoot. Their sharing follows the order of the route and would be recorded (audio). You try to involve many people in your project. How can you measure your success of your project after realizing it? What kind of result are you expecting? Let me know about them. We try to make a new concept and model of photography: take a “photo” by deleting, not by capturing. The NE tours in Fukushima and Hong Kong are an experiment. I hope the “Photography of Disappearance” can be developed to be a trend.